When Fritillaria biflora is found it always feels like a special occasion. 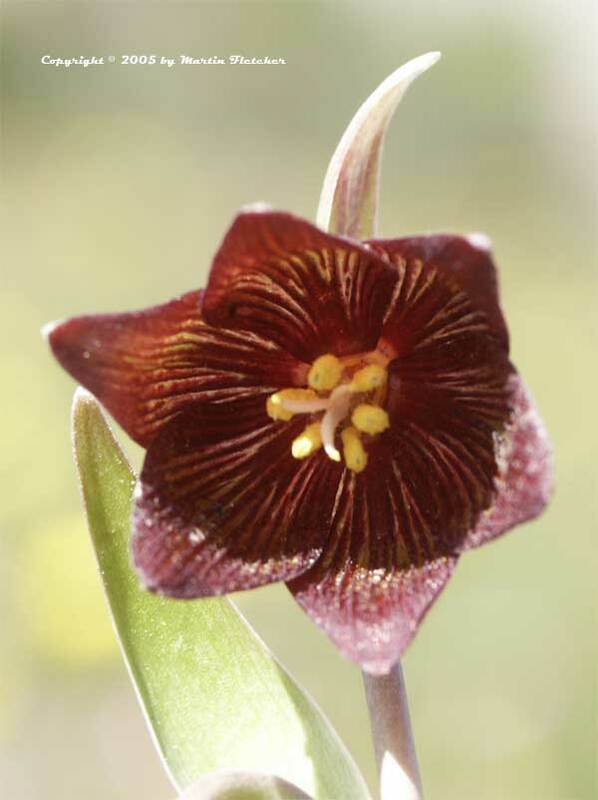 The Chocolate Lily grows in heavy soils in the middle elevations of the Coast Ranges. I have often found Fritillaria biflora where there are serpentine outcrops in the surrounding clay. In order to grow Chocolate Lilies successfully plants will require an area outside the irrigated landscape. A summer drying period is critical. Fritillaria biflora can be found in bloom in the early Spring. By May Fritillaria biflora flowers are usually dried out leaving interesting pairs of seed pods. Reddish brown flowers of Fritillaria biflora - Chocolate Lily. High resolution photos are part of our garden image collection.